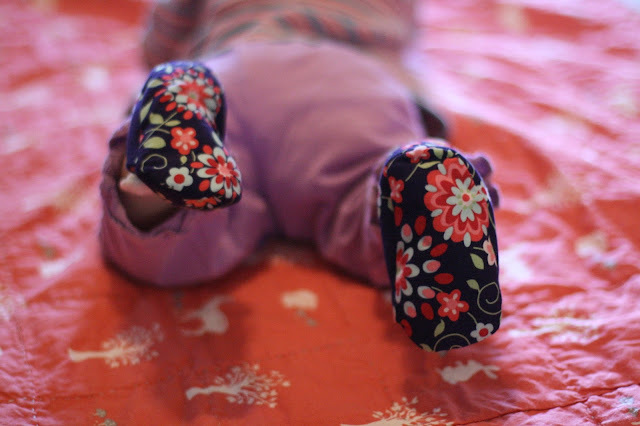 Even though Iris is our fourth child, I still haven't figured out how to keep socks on my babies' feet. 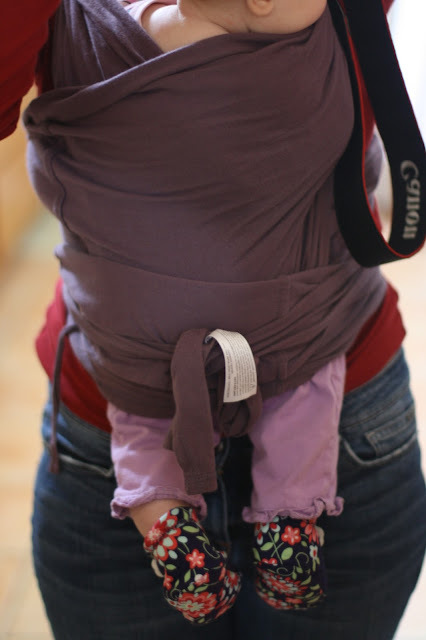 They always seem to wriggle out of them - or pull them off - and I'm left with a baby wearing only one sock (at best). 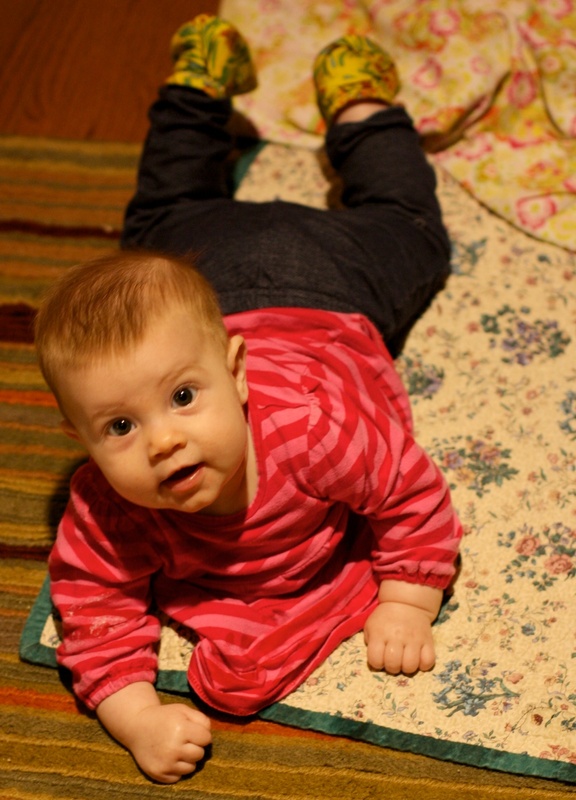 Yesterday, I was out with my three girls and a stranger chastised me for not having socks on my baby. It was 65 degrees outside. (In the Midwest, we call that summer.) And we were indoors when she made the comment. I sheepishly covered Iris' feet with her flannel blanket. 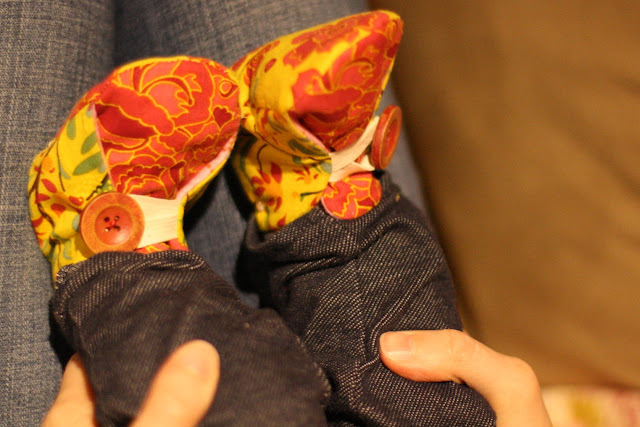 As soon as I got home, I dug out her booties, which I made for her while pregnant. I've been waiting for her to grow into them. They fit perfectly now, with a bit of room for growing. The pattern is from Anna Maria Horner's book Handmade Beginnings. She's had six babies. 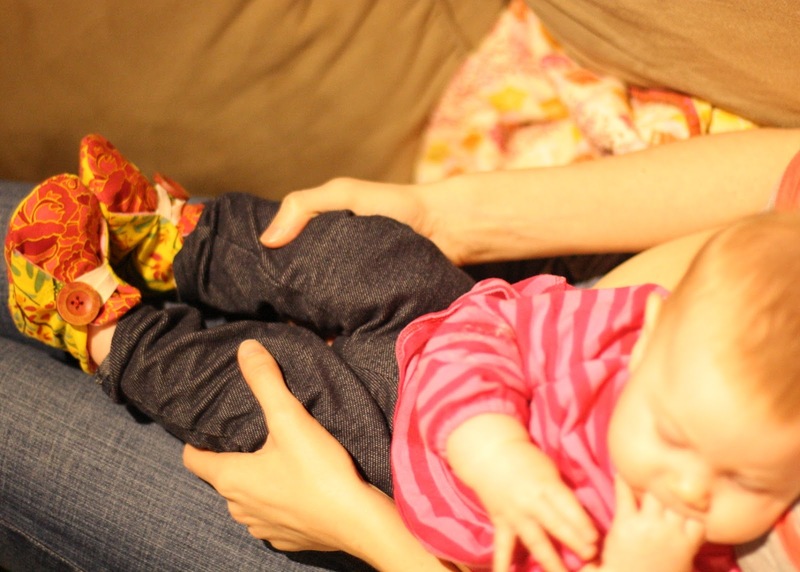 She knows how to keep booties on the feet of babes! 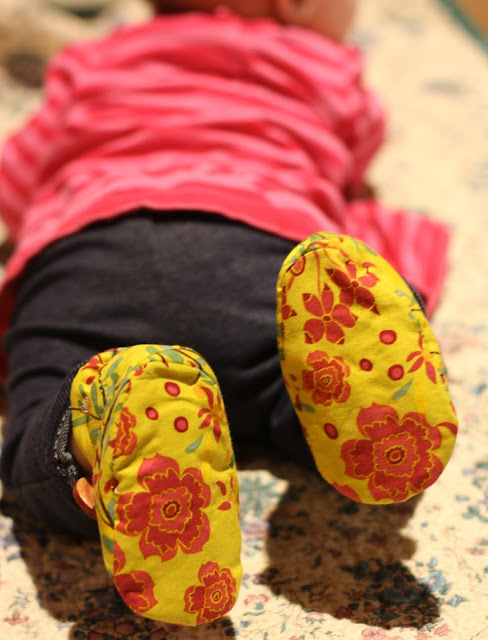 These booties aren't going anywhere. Yes, all is well now. At least for Iris' feet. 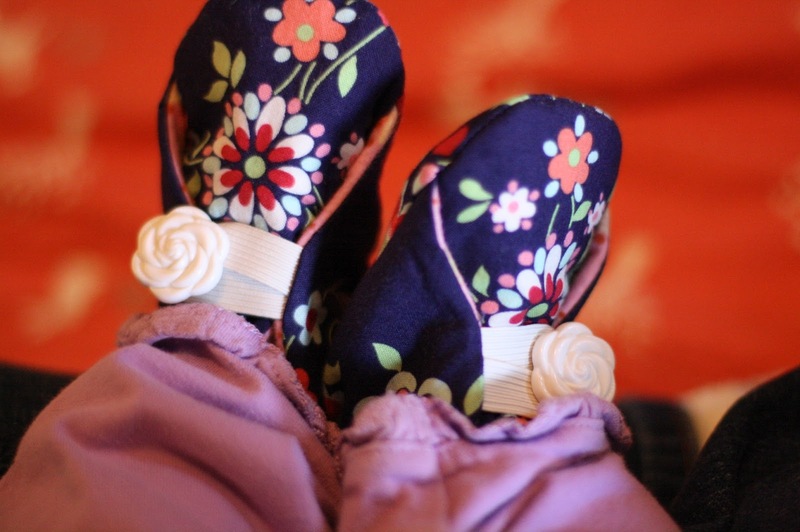 Wow does she look like her mother... and I love the booties!!!! !